The final meeting was held in Kyiv on 19 and 20 May of the 2018. 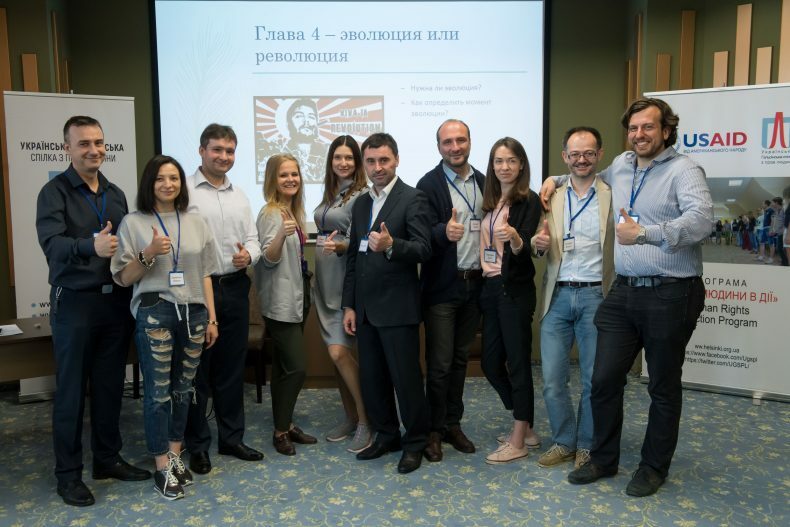 The event was attended by 34 lawyers and judges from all over Ukraine, all of them alumni of the course implemented by the Ukrainian Helsinki Human Rights Union. 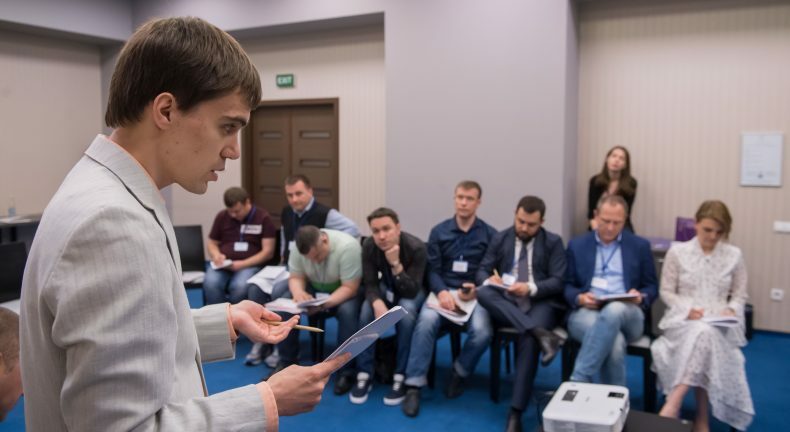 The course, which lasted for a year and a half, is an educational tool for strengthening the professional capacity of Ukrainian lawyers in the protection of human rights and freedoms. The participants studied remotely and then applied their newfound knowledge at on-site meetings. They also went on 3 international study tours and created memos on violations of the right to freedom for detainees. the right to not be subjected to torture and inhuman treatment; the right to liberty and security (Articles 3 and 5 of the ECHR). the right to respect for private and family life (Article 8 of the ECHR). the right to peaceful enjoyment of one’s possessions (Article 1 of Protocol I) and others. The lawyers took part in the preparation of UHHRU report on the risks for lawyers working under conditions of the armed conflict in Ukraine (to be published). Work is ongoing to prepare two new courses on the protection of lawyers’ rights as well as on IHL. 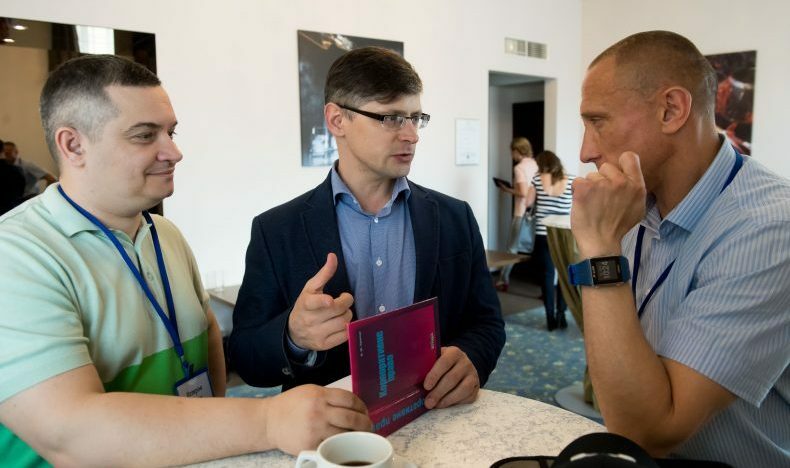 We plan to work together Association for the Development of Judicial Self-Government of Ukraine and to form a group of trainers from among the course’s alumni. The conducted on-site workshop is part of the training course “Human Rights Standards in the Practice of Lawyers and Judges” implemented by the Ukrainian Helsinki Human Rights Union. 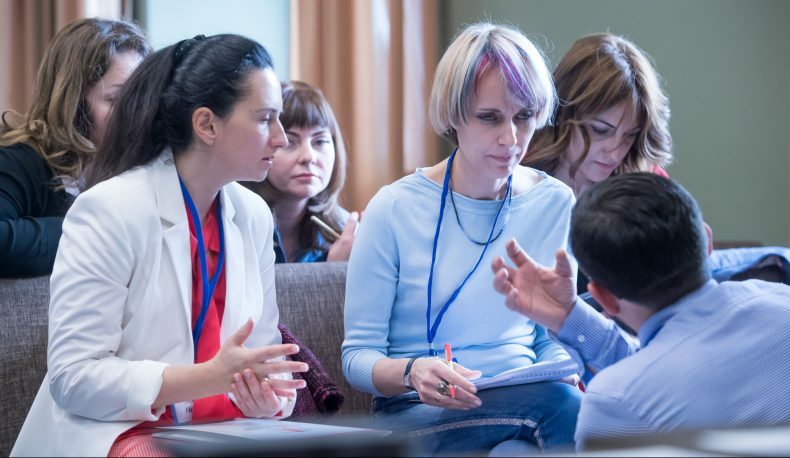 The course’s overall objective is to promote the observance and protection of human rights and freedoms in Ukraine, and the implementation of international human rights standards in the national legal system by strengthening the professional capacity of practicing litigators. This event was made possible thanks to the Human Rights in Action project implemented by the Ukrainian Helsinki Human Rights Union with the generous support of the American people through the United States Agency for International Development (USAID). The American people, through USAID, has been providing economic and humanitarian assistance around the world for more than 50 years. In Ukraine, USAID assistance is provided in such areas as economic development, democracy and governance, healthcare and social sector. Since 1992, the United States Agency for International Development has provided Ukraine with technical and humanitarian assistance worth 1.8 billion dollars.